One thing you will notice while traveling around is how clean Rwanda is; the government banned all non-biodegradable polyethylene plastic bags in 2008. There are large signs at the airport warning travelers that luggage searches can be conducted; those found with these bags may be fined 50,000 Rwandan Francs (US$61) or even jailed depending on the seriousness of the offense. Be a responsible traveler and ditch the plastic bags. By Rwandan law, anyone traveling in the country must have health insurance. If you arrive into the country without it, you have 30 days to sort it out. Rwanda's medical facilities and services are basic so it's vital that any traveler to Rwanda takes out a travel insurance policy with adequate medical coverage including air medical evacuation. Rwanda is one of the safest destinations in Africa, particularly for solo travelers. Crime is relatively low, with visitors sometimes experiencing petty crime, and locals are welcoming, friendly and hospitable. Pickpockets are active in crowded places, such as markets, and hire cars may be broken into for valuables. Violent crimes against travelers are rare. Women travelers are advised to dress modestly out of respect for the local culture. Rwanda has a well-established and reliable bus network between major cities, towns and neighboring countries. Make sure you buy your tickets from the bus company counters as scammers and touts hang around the transport terminals waiting for unsuspecting travelers. Minibusses are a common form of public transport around the capital, Kigali and to other major towns. They are cheaper however, the downside is that the bus won't leave unless it's full and there is no structured timetable. Plus they can be packed, rather uncomfortable for long trips and often end up in road vehicle incidents. Licensed taxis can be found at Kigali International Airport, and around the capital and are easily identified by their white color, orange stripe and roof sign. While not as cheap as public transport, they are the safest mode of private transport however, you will need to either pick one up at a designated rank or get your hotel/restaurant to call for one. The taxi should have a meter; if it doesn't negotiate the fare before hopping in. You can hire a car to explore Rwanda but driving at night is not advised, largely due to the poor road conditions and unlit roads in rural locations. Landslides and flooding can also present danger to drivers during the rainy seasons in autumn and late spring. For the past two years, a political dispute between the two countries has continued to deepen, with the Rwandan government closing its border to Uganda and advising its citizens not to travel to Uganda. Travelers should check with government authorities before attempting to cross. Government travel advisories warn travelers to reconsider their need to travel within 6mi (10km) of the border due to crime and the ongoing conflict between the government and rebel groups. This area also includes the Nyungwe Forest National Park and Volcanoes National Park. Relations between the two countries are strained, with Burundi banning public transport from Rwanda, and Rwanda implementing trade restrictions on food entering the country from Burundi. Border crossings can close at any time. Burundi is considered a do not travel destination due to the high-security risk. The country is experiencing high levels of violent crime, conflict and terrorism. Government travel advisories indicate that the border crossings between Rwanda and the DRC can close without notice, so travelers are advised not to rely on them. 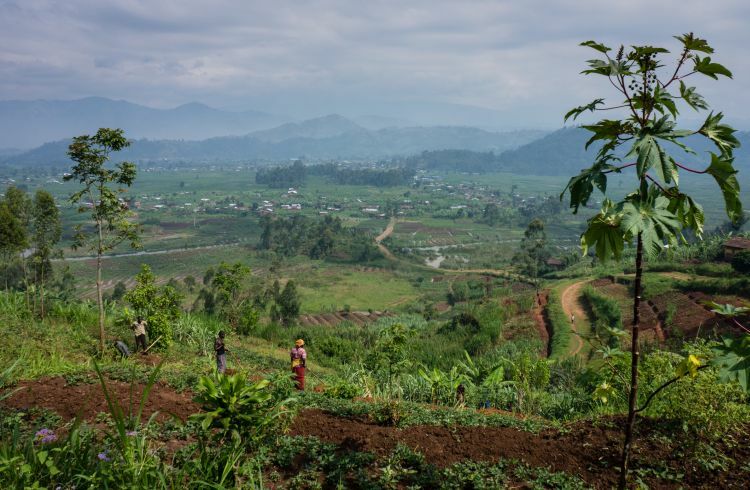 There is also a heightened security risk near the border due to local conflicts between government forces and militia groups in North and South Kivu provinces. Kidnapping, robbery and sexual assaults have occurred. The Rwandan Ministry of Health has a quarantine measure in place for anyone who arrives into Rwanda from an Ebola affected province in the DRC. Inappropriate and divisive talk about the Rwandan genocide can result in financial penalties and imprisonment. The mountain gorillas are one of Rwanda's main tourism drawcards and the government has taken measures to protect these animals and ensure that tourism is sustainable and safe. Travelers must book a guided tour to see the gorillas for safety reasons such as bandits, civil unrest, potential injury and for the safety of the animals themselves. Controlled tourism prevents any potential health risk to the gorillas as they are susceptible to diseases plus reduces the risk of human-gorilla interactions where people may be injured or killed. Homosexuality isn't illegal in Rwanda but it's not widely accepted and still considered a taboo. The country is still conservative, with local LGBTQ people experiencing prejudice however there are other African countries which are considered more homophobic. Kigali does have a few gay-friendly spots but it's best for safety reasons that LGBTQ travelers remain discreet at all times. Malaria is present all across Rwanda and the government has taken significant steps to try and eradicate this disease with various community initiatives such as mosquito nets, house spraying and rapid medical assessment and treatment. To learn more about how you can protect yourself and stay healthy while traveling, check out our travel health article for Rwanda. In 1994, the Rwandan government instigated the genocide during the civil war, which saw hundreds of thousands of Tutsi, moderate Hutus and Twa people murdered. Over 2 million Rwandans were displaced, with many people missing and families torn apart. With changes in government since the genocide, there has been considerable work done to move beyond this horrible and tragic event in order to create a more positive and safe future for all Rwandans. Laws around the genocide are strictly enforced and the promotion of racist or divisive behavior is illegal and punishable by fines and jail time. Travelers are advised to keep any talk about the genocide respectful and it's advised to avoid talking about it. Many locals have been affected by the atrocity and still experience trauma. Travelers should also avoid referring to locals by their ethnicity. To learn more, visit the Kigali Genocide Memorial. Everyone travels to Rwanda for gorillas, volcanoes and chimpanzees, but Akagera National Park offers a real wildlife safari.